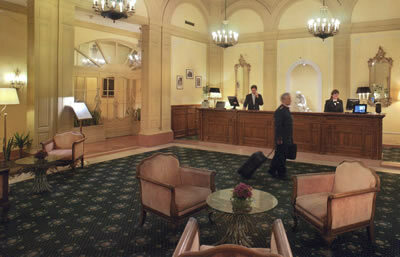 There is only one place to stay in Perugia. And stay in Perugia you must, for any traveller worth his salt has to visit the Cathedral – wherein is housed Our Lady’s wedding ring. This remarkable relic is kept within a silver tabernacle high above one of the altars. Each year, using a system of ropes and wheels and pulleys, the shimmering masterpiece descends to earth for the last three days of July – doubtless, to the ‘restrained’ enthusiasm of the assembled crowd – and the object of devotion is taken out and exposed for veneration. Is that not irresistible? And is it not typical of the wonders of Umbria? I do not think I will ever exhaust the riches of this region. It has 800 mediaeval towns and villages and each has something to offer the civilized visitor. And the region’s capital, Perugia is particularly blessed. For the corso Vannucci is one of the most beautiful thoroughfares in Europe. This is the central axis of the magnificent old town, perched upon its hill above the ‘new’ city. 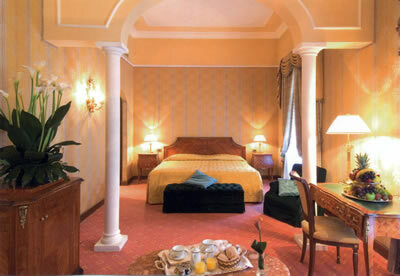 The corso Vannucci runs into the piazza Italia, and here – exactly where every person of taste and discernment wants to be – there is the hotel in which you must stay: The Brufani Palace – with its stone fireplaces, columns, parquet floors and ancient paintings. It exudes the sort of patrician refinement I love. Opened in 1884, this solid and handsome pile was built on the ruins of a papal palace. Indeed, the historical antecedents go back further – for, through the waters of the swimming pool, cunningly inserted into the mediaeval vaults, there can be glimpsed ruins which date back to the Etruscan period. And there is recent history here, too. 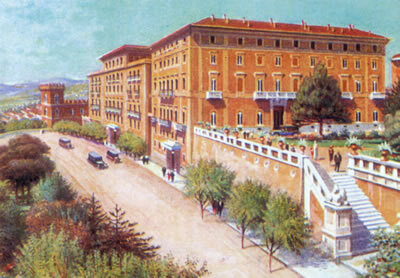 It was from this very hotel that, in 1922, the March on Rome of the 30,000 began – an event might be said to have changed the subsequent history of the world. However, it is something else which comes to mind when I wander around the ground floor corridors. For the framed photographs show Queen Elizabeth the Queen Mother, and were taken when she was staying at the hotel in 1992. Our last Queen Empress looks very happy, as I always do when I arrive at The Brufani Palace. 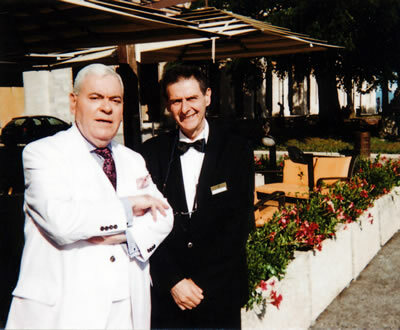 Indeed, if you look at the picture of me with the General Manager, the charming and efficient Stefano Chiesa, you will see the face of a happy man. Up on the third floor, I liked my first impression of room 330 (a suite, as are 35 of the hotel’s 94 rooms). This was a Royal Suite and therefore between 400 euros and 2,200 euros a night (according to season), bed and breakfast for two. Its colours were rich and warm: gold (for the silk damask on the walls), pink (for the carpet) and crimson (for the velvet of the sofa and the chairs). Off the proper hall was a walk-in wardrobe with a safe. In the sitting room, lit by crystal wall lights, were swagged and tailed curtains, a writing table in the style of Louis XVI and a little fireplace of white marble. There was also a large oil painting of eight hounds and a starling in a rocky landscape. At my request, the bed and its pillows in the sleeping room had been made deliciously soft, so – under the 12-branch chandelier and next to the demi-lune table topped with brown marble – I slept the sleep of the righteous. And I bathed well, too, in a chamber panelled with grey and green marbles. The tub was large and there were two wash basins, as well as a bidet, the loo and a separate shower. But perhaps the most splendid feature of this suite was its large outside terrace, which I entered through a French window in the sitting room. Here I found tables, chairs, loungers and a sun shade. Beside them there was enough space for a decent cocktail party. And, over the stone balustrade, was an enchanting panorama which took in ancient churches, the city below and a wide sweep of the Umbrian hills beyond. The restaurant used for lunch and dinner, called Collins, is the adjacent chamber. 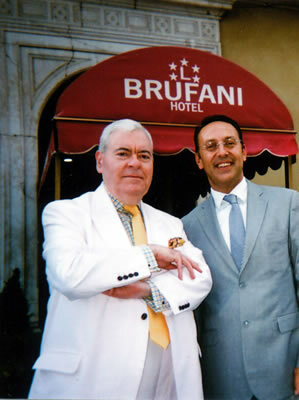 It is named after George Collins, a nephew of the hotel’s founder, Giacomo Brufani. This is smaller and brightly lit. Its floor is covered with antique parquet and a large stone fireplace dominates the proceedings. Around this handsome room, excellent and efficient waiters move to good purpose and lift silver domes with the proper degree of panache. They are under the watchful eye of the fine maitre d’ Antonio Sereni, whose picture I am happy to present to you. He it was who also organised my tea each afternoon on the outside terrace of the bar at the front of the hotel – daily occasions which were delightful both for the comestibles and for the opportunities to survey the many passers-by attracted by the view over the valley. The wine list has 91 offerings and is essentially Italian, although there are some tempting champagnes, like Krug Grande Cuvée (250 euros). Prices range from 18€ for a prosecco to 300€ for Cristal champagne. Three ‘super-Tuscans’ also caught my eye: 2011 Tignanello (85€), 2009 Sassicaia (180€) and 2003 Solaia (200€). The selection of Umbrian wines is interesting: there are 10 whites from 22€ to 65€ (for the 2010 Cervaro della Sala) and 19 reds from 20€ to 100€ (for the 2007 Sagrantino di Montefalco, “25 anni”, Caprai). I took Mr Sereni’s suggestions from these local wines, and drank very well. I can recommend to you, in particular, two reds: a 2009 Montefalco Sagrantino of tannic strength and fulsome black fruit in an unusual bottle with indentations for the fingers of the pourer (Terra della Custodia – 45€), and a superbly elegant cabernet/merlot of ripe damsons and black cherries from nearby Assisi (2007 Saio – 45€). My opening remark was correct. 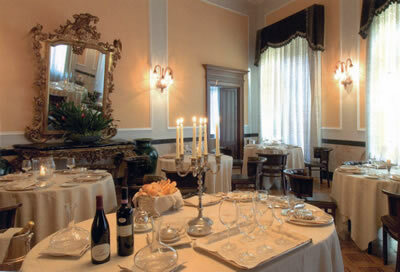 There is only one place to stay in Perugia. 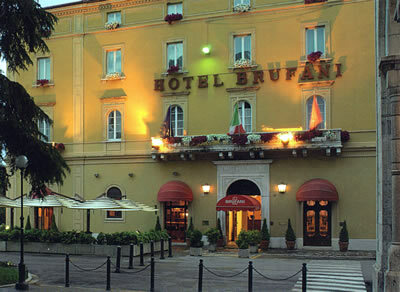 It is The Brufani Palace. Its location, its history, its style, its comfort, its food and its level of service make The Brufani Palace a real credit to its great city. I am eagerly looking forward to my next visit. Piazza Italia 12, 06100 Perugia, Italy.